This 4.2 kilometre hike takes you around the perimeter of Ross Lake for some pretty spectacular views of Flin Flon. Expect stairs (many stairs) and interpretive signage along the way that explains how the rock that the city (and the boardwalk) sits on are actually volcanic rocks dominated by basalt that erupted underwater. It might surprise you to find out the origins of Flin Flon&apos;s name derives from the character of paperback novel: Josiah Flintabbatey Flonatin of The Sunless City, which was found and read by prospector Tom Creighton. Flinty, as he&apos;s known now, is immortalized in the town&apos;s famous statue located next to the Visitor Centre and Museum. After getting your photo taken with Flinty, head into the Flin Flon Station Museum (housed in the former Canadian National Railway Station building) for an introduction to the town&apos;s mining history. 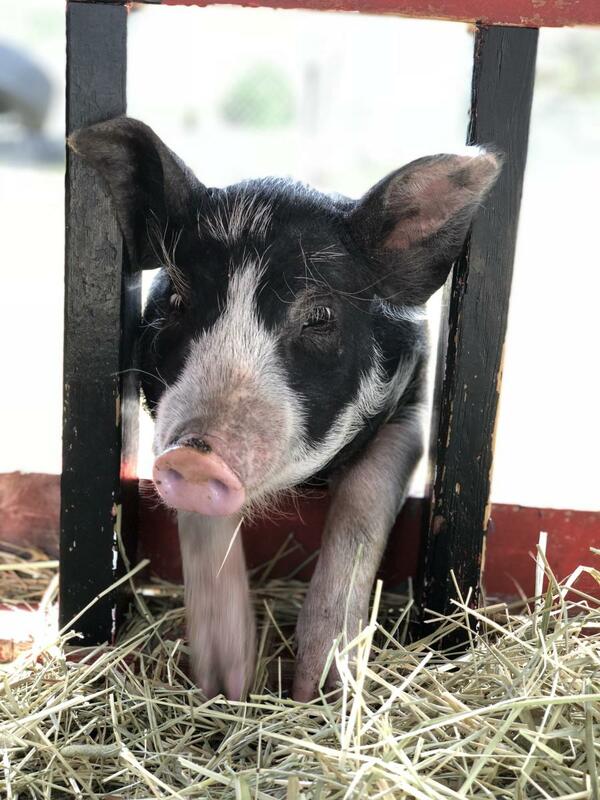 Named after local millionaire and honorary citizen Joe Brain, the Joe Brain Children&apos;s Petting Zoo is a family fun (and not to mention CUTE) activity that can easily eat up an afternoon. The park houses everything from friendly pigs to adorable goats and ponies. Kids will also love the nearby playground and wading pool (currently under construction - stay tuned for an update). There are only two old-fashioned drive-ins left in Manitoba (the other being in Morden, Manitoba) , so you won&apos;t want miss the opportunity to catch a flick at the Big Island Drive-In. The Drive-In is well equipped with all the necessary snacks for such an occasion - and you MUST try the giant pickles! The thing that struck me most about the north was its HUGE, pristine lakes. You could be out fishing and not see another boat or person all day - that&apos;s how wild it is! 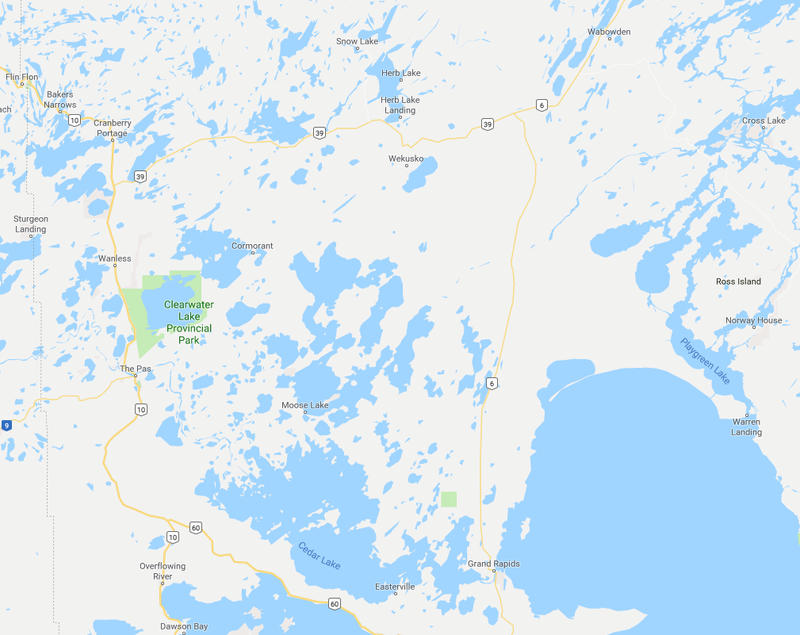 While staying at Viking Lodge, we took both a canoe and boat out onto First and Second Cranberry Lake - vast bodies of waters with many hidden gems (watch for eagles, hidden waterfalls and some of the most amazing camping spots we&apos;ve ever seen). One of the best hikes in the area is on Lake Iskwasum in the gorgeous Grass River Provincial Park, 40 minutes from Cranberry Portage. The Karst Spring self-guiding trail is a moderate, 3.2 kilometre hike that takes you through a variety of landscapes: from lush greenery to the wreckage of a forest fire to a powerful spring. Located in a restored CNR station, the Cranberry Portage Heritage Museum is a total gem and must-see in the town of Cranberry Portage. Get to know the history of the region through a collection of unique objects and records, which shine the spotlight on notable Cranberry Portage citizens (like Caribou Bill, who ran the first museum in town, or Mary Buchholz, a famous northern trapper). When in Flin Flon, eat like the locals do! Popular spots include iconic drive in Mike&apos;s Ice N&apos; Burger, which boasts an obscene number of milkshake flavours and diner classics like burgers, hot dogs and fries, as well as Mugsy&apos;s Deli for deli sandwiches and salads and the Orange Toad for specialty coffee. Plan your visit in conjunction with a community event and REALLY experience the region like a local! We were lucky enough to be in Flin Flon for the Snobirds Airshow, a huge event that brought the whole town to the airport for some sky-high airplane acrobatics. 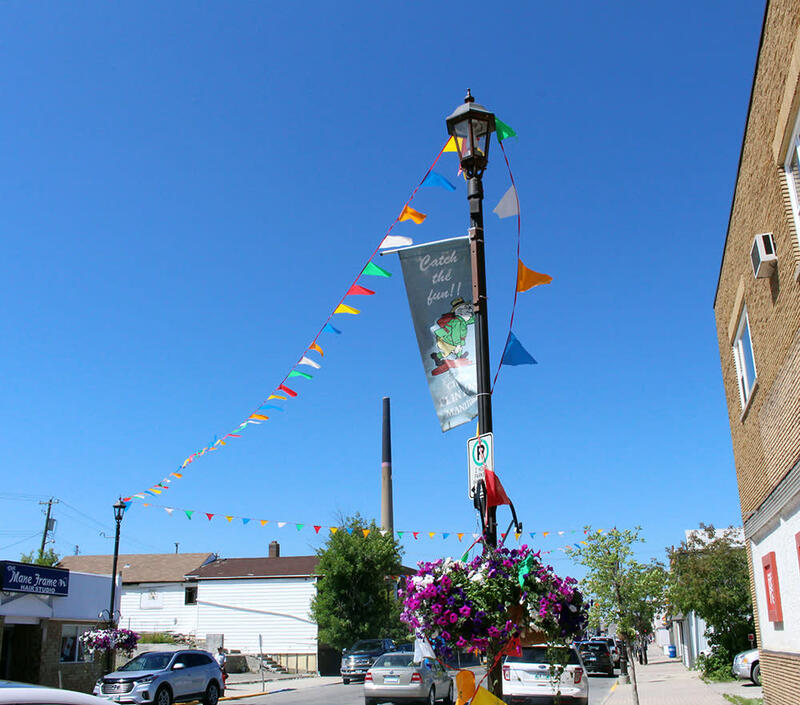 Other notable events include Culture Days (the town has an INCREDIBLE arts scene), the Trout Festival and the Blueberry Jam Music Gathering. Head to the campground across the road from Bakers Narrows Lodge to find the Bakers Narrows lookout tower. A short walk up a series of wooden stairs will bring you to some of the best views of the region! How to get there: Flin Flon & Cranberry Portage are located 8 hours north of Winnipeg, near the Saskatchewan border.